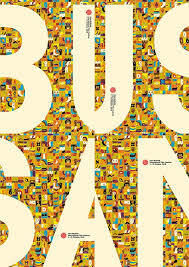 The Busan International Film Festival is considered to be one of the most significant film festivals in Asia. In fact, in Busan, they have dedicated one street for the film festival eventhough it only happens once a year. This year marks the 23rd year of the BIFF and it continues to honor great films from different parts of Asia. A total of nineteen films from the Philippines will be featured in the said festival. The event will run from October 4 to October 13, 2018 and the country of focus for this year is the Philippines. Out of nineteen Filipino films to be featured, 10 of which are for special retrospective program which will features the greatest films in the Philippines cinema. The lineup includes ”A Portrait of the Artist as Filipino”(1965) by Lamberto V. Avellana, “Ganito Kami Noon, Paano Kayo Ngayon?”(1976) by Eddie Romero,”Tatlong Taong Walang Diyos” by Mario O’Hara (1976),”Ang Panday”(1980) by Fernando Poe, Jr.,”Cain at Abel”(1982) by Lino Brocka,”Moral”(1982) by Marilou Diaz-Abaya,”Himala”by Ishmael Bernal (1982),”Bayaning 3rdWorld”(2000) by Mike de Leon,”Dekada ’70”(2002) by Chito S. Roño, and ”Ang Damgo ni Eleuteria(“2010) by Remton Siega Zuasola. The other 9 Filipino entries are to be featured in the festival’s “A Window on Asian Cinema” Section. The lineup includes “Citizen Jake”(2018) by Mike de Leon, ”Alpha: The Right to Kill”(2018) by Brillante Ma. Mendoza, “The Eternity Between Seconds”(2018) by Alec Figuracion,”Gusto Kita with all My Hypothalamus”(2018) by Dwein Baltazar,”Lakbayan”(2018) by Lav Diaz, Brillante Ma. Mendoza and Kidlat Tahimik, and “Signal Rock”(2018) by Chito S. Rono. Aside from the 19 Full Featured Films, two short films are also included in the festival’s Wide Angle Short Film. The list includes “Last Order”(2018) by Joji Alonso and “Manila is Full of Men Named Boy”(2018) by Stephen Lee. One more Filipino entry is also included for the category Wide Angle Documentary entitled ”Land from God”(2018) by Stephen Lee. Land from God is directed by Kevin Piamonte, an Ilonggo film-maker. This is about the Aetas of Boracay.